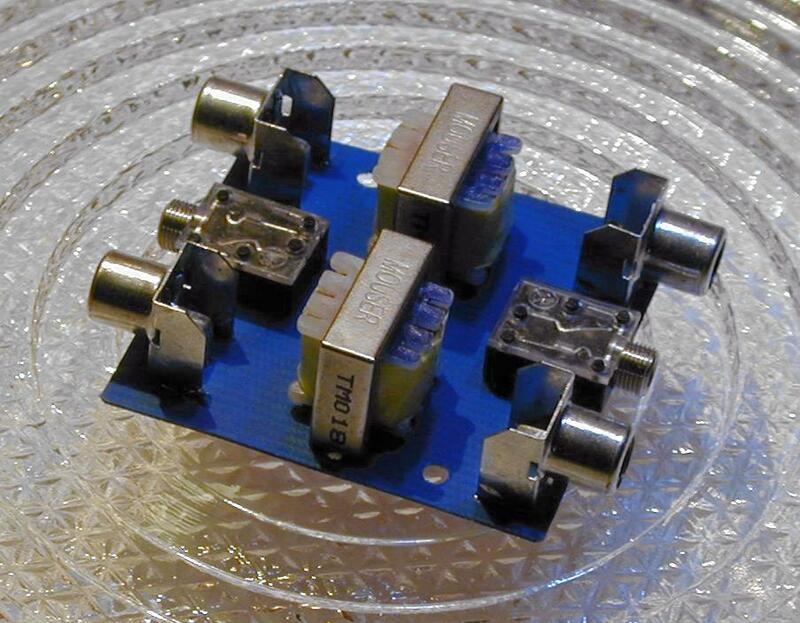 This circuit is useful for removing ground loop hum on a remote line level audio signal line. It can be used to to connect a computer sound card to a stereo amplifier's line input. Other uses include tapping into a line level signal for powering a remote amplifier, and removing common mode ground interference on 12 Volt audio equipment such as a car stereo. The circuit can be used in mono applications by simply ignoring the second channel. The audio signal is passed through the transformer from one side to the other. Ground loop noise that would otherwise travel from the ground on one side of the isolator to the other side is blocked. A custom PC board was made for this circuit, it could easily be built with perforated circuit board, or free-wired with the connectors mounted in a small metal box. Multiple connector types as shown in the photo are optional. If the circuit is put inside of a metal box, ground the box to the transformer cases. 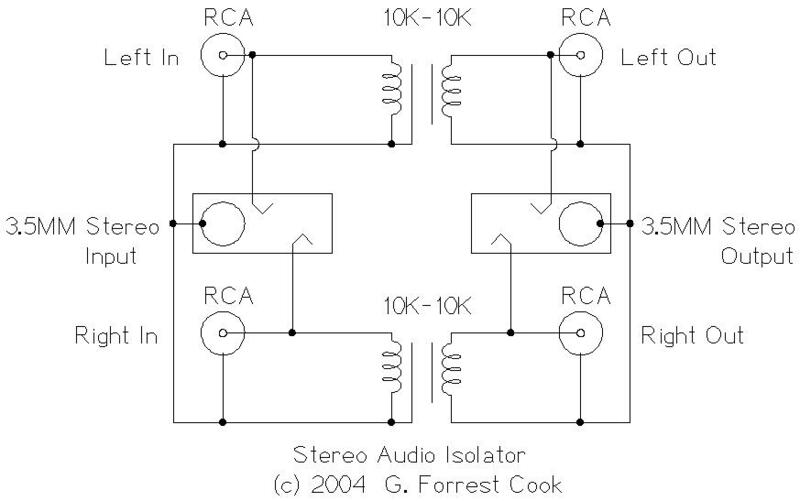 Connect this circuit between an audio source and an and audio destination. Turn on the signal source, listen for the audio signal on the destination.